First off, I'd like to mention that this week my blog is being featured on the Decorating Forum which means I am going to have to force myself to find the motivation to post more than once this week! I think I can get around that by splitting up my usual long weekend post into a few (cheating I know!) and I have saved the post on my wall stickers for this week especially. If you're a long time reader, you may remember that my little sister bought me Adriano Zumbo's cookbook for my birthday last year. Now despite the few cakes I have posted on here, I'm definitely not confident in the kitchen (SJ does all our meal cooking). I've manage to avoid the macaron craze for so long now, I decided it was time I gave them a try. However, I'm not stupid enough to try something out of Zumbo's book right away! I found this box in the cake mix section last week and decided to give it a try. The box includes everything but water and a bit of cream. Simple. 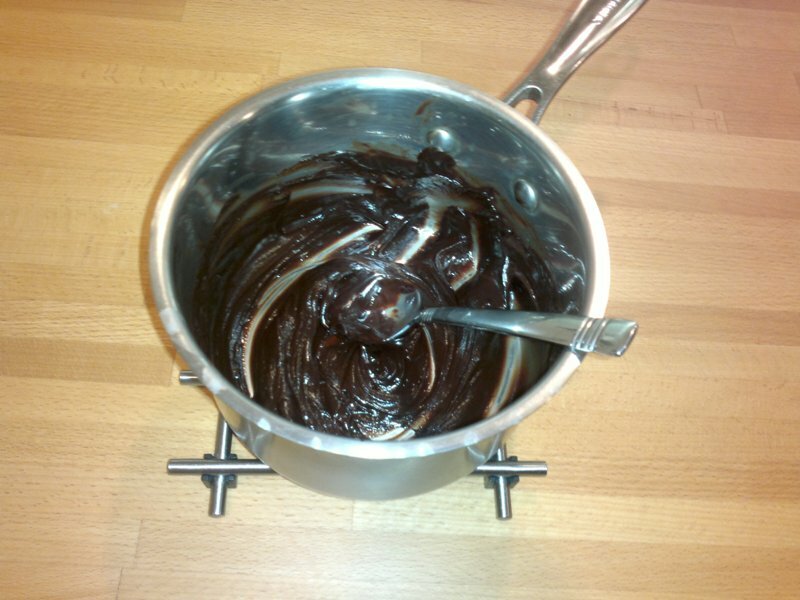 To make the filling, you melt some chocolate pieces with 2 tablespoons of cream and leave to cool. 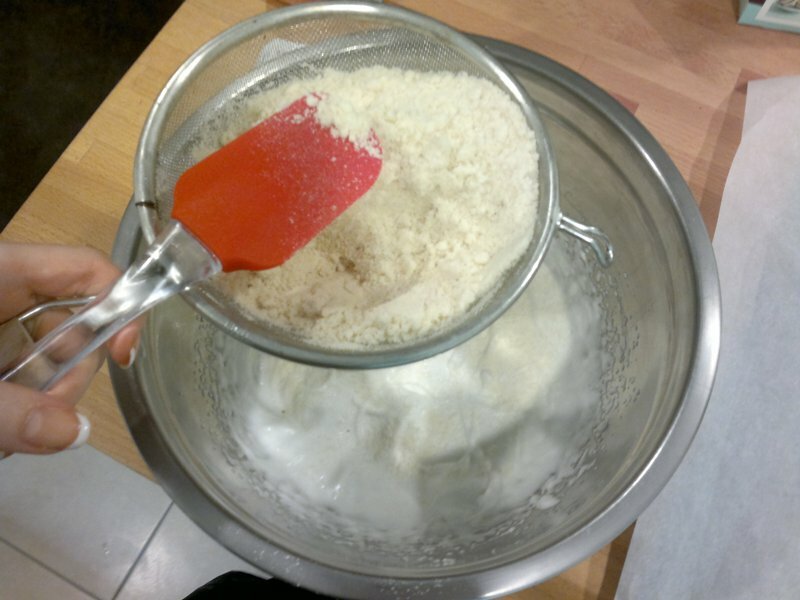 Here's me sifting the almond meal over the fluffy egg white meringue goodness. I thought I achieved soft peaks but they ended up a bit flat, so maybe not. I didn't use a piping bag (though I have bought one for the Zumbo recipes) but Donna Hay only told me to spoon the mixture on to baking paper. Seemed to work well enough. Some of the others didn't fair so well. 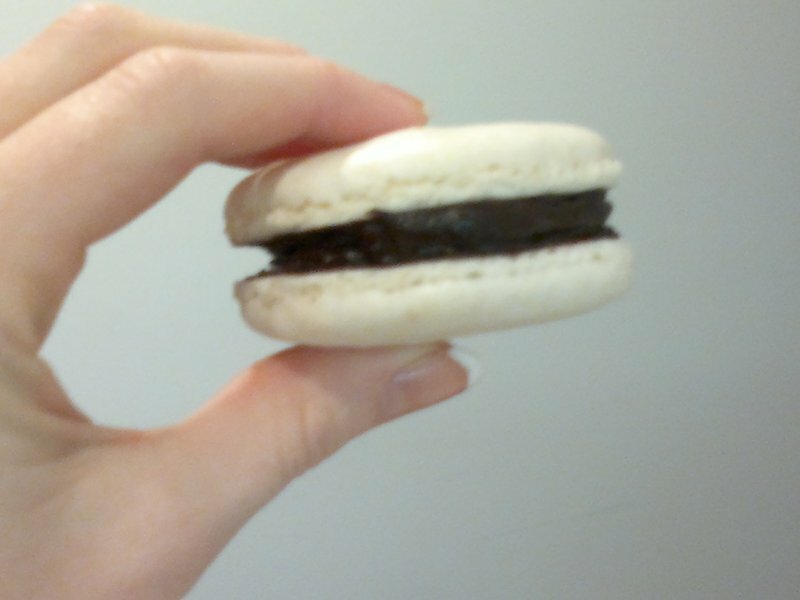 I stuck my finger through a few while putting the ganache on too! Not too bad for a first attempt. With my luck I will probably over whip the egg whites next time, but that's how you learn I guess! So which Zumbaron should I attempt? Anyone have a favourite? Oh you are a braver woman than I! 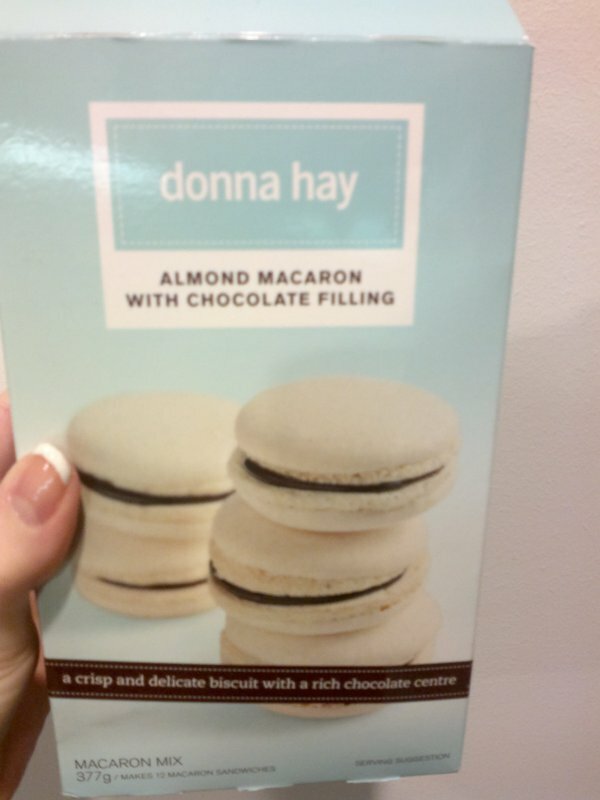 I quake in my boots when I even think about attempting Macarons! My best friend made 100 for a party a few weeks ago and facebooked pictures, they all looked so perfect! Makes me feel like I have to at least try! You are very adventurous. My DS and I love to cook desserts together. He thinks it is a good deal - I help him cook and he eats everything. Okay sometimes he shares with his Father:). Good work! I'm normally a 'from scratch' cook, but I tried the Donna choc cupcake mix once to take to work and the result earned me a marriage proposal hehe! Donna must be doing good work! They dont look soo bad! 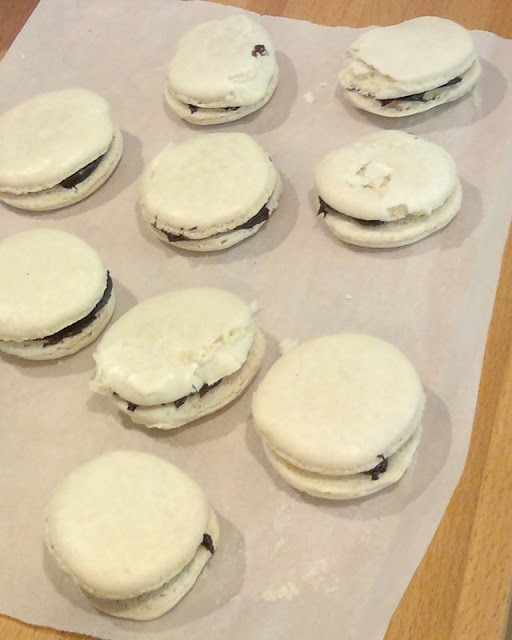 My mother in law knows how to make macarons. This is both AWESOME and bad =/ they are just too tasty. She uses a recipe from masterchef. I dont think ill ever give it ago....it looks too hard! I have seen these so many times in the shops and think I should try but then think it's too hard! You made them look so cute! Oh and good work on being featured on the decorating forum! Very awesome first attempt! 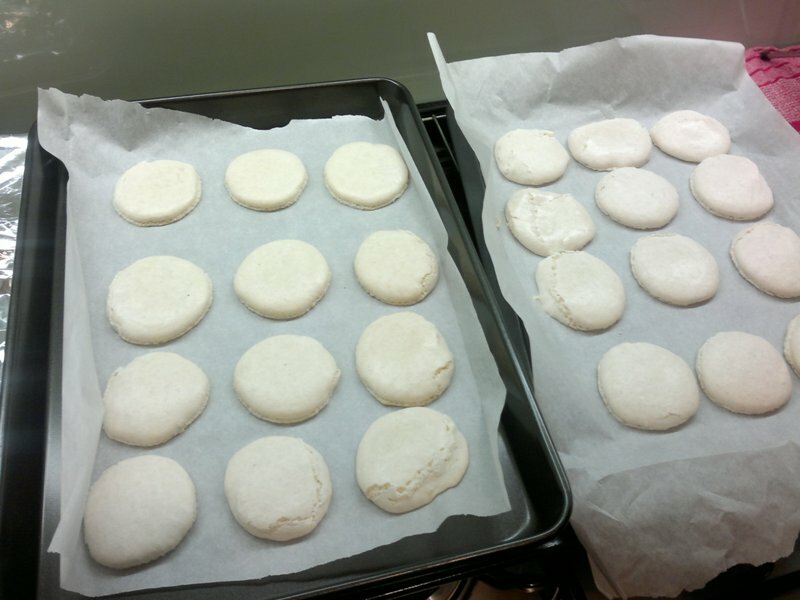 I have used boxed mix before for cupcakes but have attempted macarons from scratch over 6 times now to no success. Yours look way better than mine fer sure! 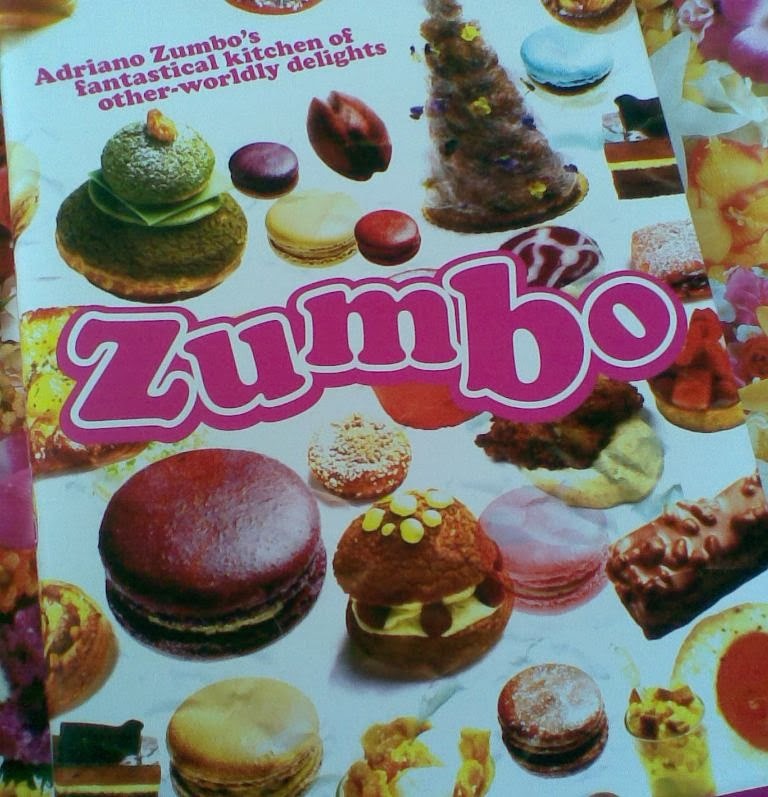 I have the Zumbo book too. Haven't been game to make anything out of yet though, but it's pretty to look at. All my attempts at macarons have failed disastrously. Those look awesome for a first attempt!